Thank you sincerely for thinking of Dinner Elf for your non-profit's fundraising event or other charitable cause. We get many such requests from so many wonderful organizations and wish we had the resources to give to them all. We have two options that allow us to support as many worthy causes as possible. We can mail you single-use $10 coupons to share with your event attendees in swag bags. 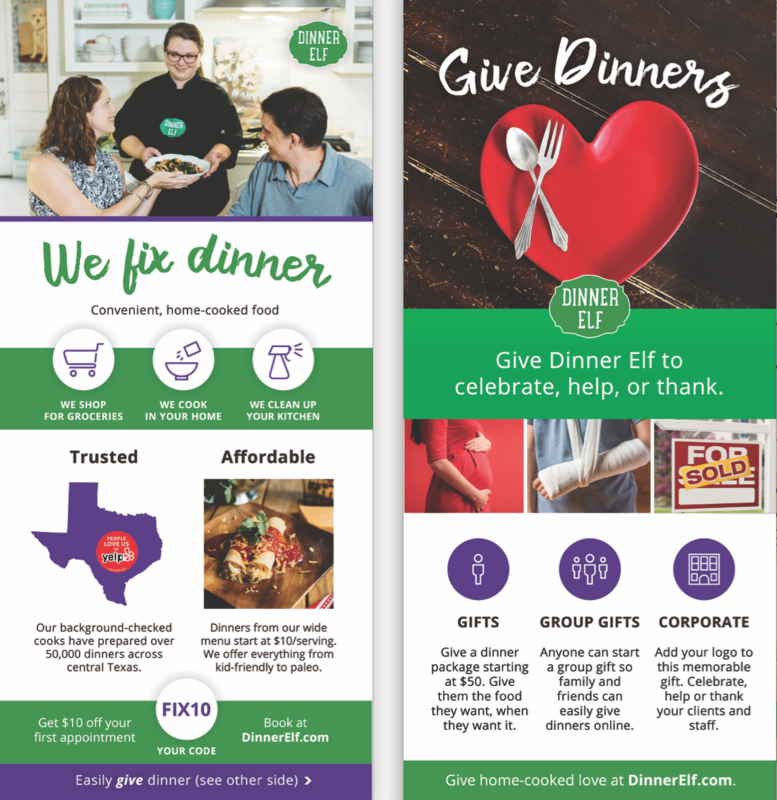 If you feel that sharing Dinner Elf with a discount might be helpful to your attendees, email us with your quantity, date needed and a shipping address. We offer a 20% discount on gifts for select organizations. We recommend offering a gift of three nights of home-cooked dinners (cost of $150) in your auction. We've seen this gift bid over $1000 at multiple events 😊. If you'd like a discount code for the purchase of a gift for use in an auction, email us for more information. We love knowing that our cooking serves a dual purpose, whether it's helping someone through a tough time or supporting a fantastic charitable organization. Thanks for thinking of us, and we hope some home-cooked love can help your cause!